They say that dogs and their owners often show a remarkable resemblance. If this is indeed true, the stereotypical schnauzer owner would be an elderly gentleman, dressed in a tweed jacket and bow tie — proudly walking in the park with head held high and treating any attempts at friendly conversation with a moustached look of aloofness. Indeed, the Schnauzer’s name literally means ‘snout’ — a colloquial term in German for a moustache. With its sassy beard and wild eyebrows, the Schnauzie (as it’s affectionately referred to) is the unofficial king of facial hair in the dog world. Yet, for a grumpy old gentleman, Schnauzers have remarkable energy. Extroverted, curious and eager to alert its owner to any threat, the breed often surprises novice owners with the size of their personality. Make no mistake — the Schnauzer is a terrier at heart: feisty, active and extremely loyal and protective. The Schnauzers comes in three sizes: the standard, the giant and the miniature. Today, the miniature Schnauzer is the most popular as a pet, especially in cities and rates among the top 20 most popular dog breeds in Europe and the USA. People also sometimes refer to ‘toy’ or ‘teacup’ Schnauzers but this is generally a cross between a miniature Schnauzer and another breed and doesn’t fall within the breed’s standard description. As mentioned, the Schnauzer comes in small, medium and large. The miniature Schnauzie is 33–35 cm tall at the shoulder and weighs about 4.5–9 kg. 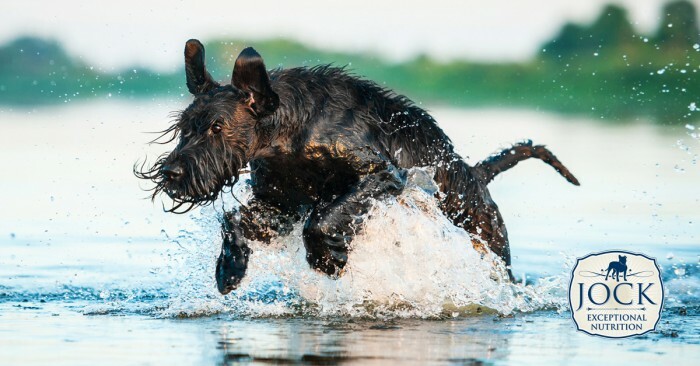 The standard Schnauzer is considerably larger, at 43–51 cm and will become a tad too heavy to carry in your arms at 14–26 kg while the giant variation is indeed a big dog at 60–70 cm and 34–47kg on average. It’s interesting to note that it’s not a sliding scale of sizes, but rather three distinct breeds — each with its own set of characteristics. The breed can be classified as a ‘working dog’ and its role in rural Europe where it originated was to hunt rats, herd cattle and generally serve as a watchdog. The three variants developed in the late 19th century by first breeding the existing Schnauzer with the French Poodle to give it a more aristocratic appearance and then crossing the Standard Schnauzer with the Miniature Poodle and Affenpinscher to create the Miniature Schnauzer. The Giant Schnauzer was bred by crossbreeding with a host of bigger dogs including the Great Dane, German Shepherd and Bouvier des Flandres. The Miniature Schnauzie is the only one that comes in four colour variants: pure black, black and silver, pepper and salt (a kind of nuanced grey) and white, although there is some controversy surrounding the acceptance of white Schnauzies at dog shows in the USA. The reason for this is that the two larger breeds only come in black or pepper and salt and the white is seen as a diversion from Schnauzer tradition. Whatever colour your Schnauzie is, it’s sure to be smart. Schnauzers are also known as ‘the dog with the human brain’ and are highly trainable. Your bearded gentlemen or lady will be sure to learn tricks quickly and obey a variety of commands. The flip side is that they can get bored quite easily and need to be exercised and mentally stimulated regularly. They are extremely loyal to the point where they can be a little aloof and stand-offish with strange people or dogs until they get to know them. 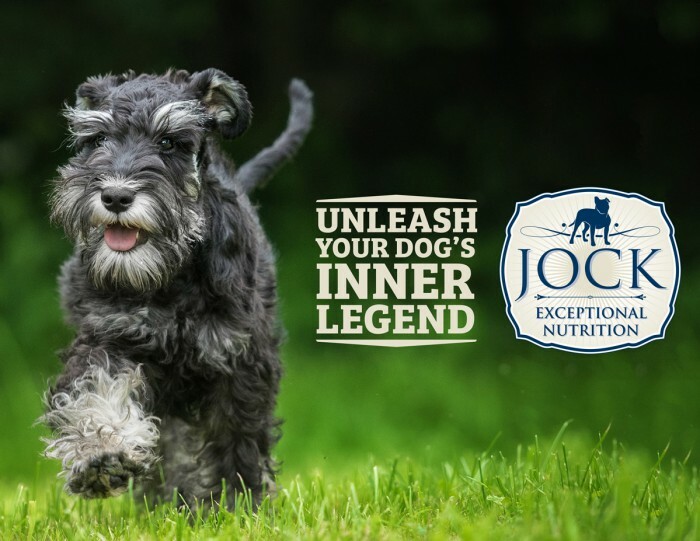 However, individual Schnauzers’ personalities (especially the popular miniature ones) can vary greatly to the point where two Schnauzies can almost seem like two different breeds. Some are very terrier-like (feisty, scrappy and stubborn) while others are much calmer and sweet-natured. All Schnauzies will want to be close to their owners and part of the action on a constant basis and while the two bigger variations might be fine outdoors, the smaller pooches need to sleep comfortably inside. Even the calmest Schnauzers’ beautiful snouts are made for barking though and they will alert to anything they think is a threat. For this reason, a Schnauzer is not the type of dog you want to leave alone for long periods of time if your neighbours have sensitive ears. Schnauzers are one of the healthiest dog breeds around. They don’t really drool, but their muzzles will become dirty from eating and playing, so be sure to keep those wet wipes around. They also need to be groomed on a regular basis (either by hand-stripping the undercoat’s dead hair or by clipping the top coat to reveal the soft undercoat. Enthusiasts tend to agree that there are few dogs as good-looking as a well-groomed Schnauzer. Yet despite their long hair, they actually shed very little and are hypoallergenic. Should I get a Schnauzer? If you’re looking for an energetic, smart and alert family dog that’s great with children and will patrol your house and yard like it’s the proud owner, then this breed is for you. If you’re sensitive to barking and don’t want to spend time training and grooming your dog, then this elegantly moustached dog should rather be left to all the Schnauzie enthusiasts out there.